What emerged was a poised, well-funded, well-positioned class of new candidates. Democrats woke up Wednesday morning liking their prospects for November. They may be playing defensive over a number of Senate seats, but nothing about last night gave them a reason to slow their aggressive offensive in House and gubernatorial races. In all four states that voted last night, party picks breezed through their primary races. What emerged was a poised, well-funded, well-positioned class of new candidates, many of them new politicians seeking office for the first time. Democratic women had a big night. In Ohio alone, women will make up 10 of 16 congressional Democratic candidates, and half of the state senate candidates. In races that some Democrats feared were pulling candidates to the left or causing divisions in the ranks, party voters actually broadly stuck together. Though he faced three Democratic opponents, former Consumer Financial Protection Bureau director Richard Cordray won 62 percent of the vote in the Ohio Democratic gubernatorial primary, easily beating former congressman Dennis Kucinich, who was backed by some Bernie Sanders-aligned groups. On the other hand, Democratic Party officials in the state argued their Republican counterparts suffered some bruising and divisive primaries. In the GOP gubernatorial primary, Ohio Attorney General Mike DeWine clinched the Republican nomination, but only after weathering brutal attack ads from sitting lieutenant governor MAry Taylor who labeled him “DC DeWine,” and accused him of not being a true conservative. DeWine won 59 percent of the vote, while his one opponent managed 40 percent. 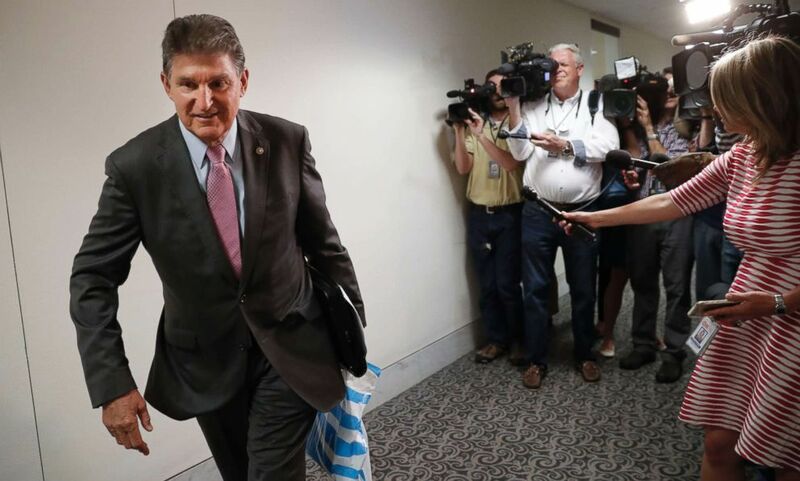 In West Virginia, though he was not facing a competitive primary, sitting Democratic Senator Joe Manchin managed to win nearly as many votes as all Republicans brought in combined (only 3,000 short). In North Carolina’s 9th Congressional District, Democrats liked the enthusiasm on the left, too. 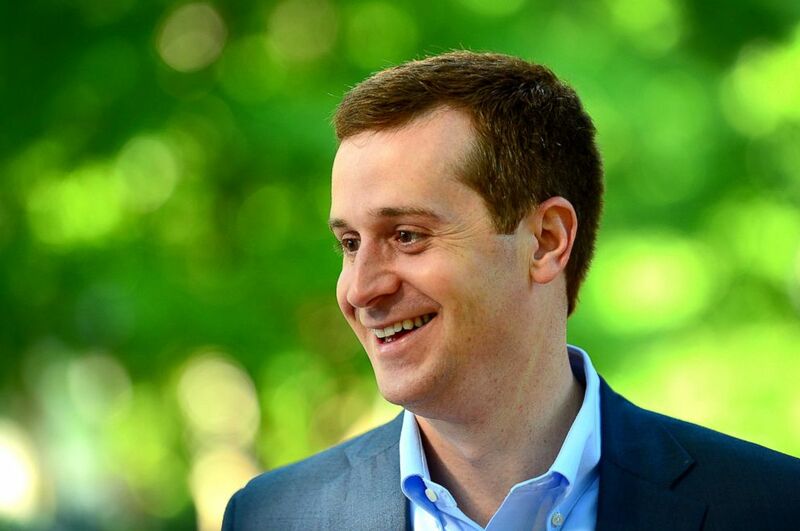 One young Democratic hopeful, veteran and business owner Dan McCready, won more votes than either of the two Republicans running in their primary combined. The fact that the incumbent Republican congressman lost his seat to an insurgent Republican made Democrats feel even better about their chances of picking up that seat with McCready in the fall. A lot of the winning Democrats in the region looked like McCready, who, in turn, looked a lot like Rep. Conor Lamb – the young Democrat who managed a big upset in a special election in a red district in Pennsylvania in March. After that one race, Democrats felt both confident in their push into redder and redder territory and in their candidates. (Pablo Martinez Monsivais/AP) Sen. Joe Manchin, turns to walk away after speaking to members of the media prior to his meeting with CIA Director Nominee Gina Haspel, on Capitol Hill in Washington, May 7, 2018. Big picture, Democrats say: their candidates fit their districts and are focused on issues like health care, wages, and leadership. Ken Harbaugh, for example, the new Democrat nominee in an Ohio's 7th Congressional District, is a veteran like McCready and talk in ads about this family's personal battle with pre-existing conditions. Kathy Manning in NC-13 is also a first-time politician and community leader. Both are seats D.C. Democrats are invested in and view as highly competitive, potential pick-ups in November. In Indiana, a minister and business owner, Mel Hall, who avoided talking about President Trump as much as his more progressive opponents, won his primary and will likely make his district in South Bend competitive. The party has said it plans to spend money and compete in more races than ever before this year, and where Democrats are looking to expand the map, they're nominating qualified candidates that can do just that.